Last week I was reading an article about the definition of "niche" in the ever-changing fragrance market, and I started thinking back to some of the first "niche" perfumes lines I ever encountered — L'Artisan Parfumeur and Annick Goutal, in particular. There were others I never had the chance to try, and some of them are now discontinued (Gobin Daudé! ), but once in a while an early niche line makes a re-appearance. 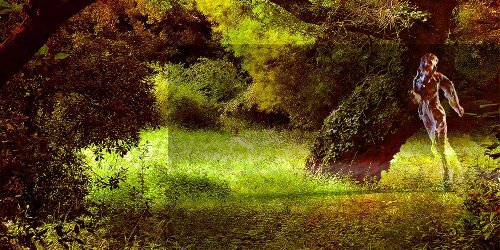 Le Jardin Retrouvé, for example, describes itself as "the first ever niche Maison de Parfum, created in 1975 by the renowned perfumer Yuri Gutsatz." In 2016, Gutsatz's son and daughter-and-law re-launched the brand with reformulations of seven of its original fragrances. 1920. The opera hall is packed. Diaghilev is presenting his Ballets Russes. You are seated with a group of flamboyant Parisians in the front row. Wide-eyed, you watch Nijinsky and his soft leather boots. He leaps, he spins, he fills the stage with the bewitching scent of ylang-ylang, violet, and cinnamon enveloping a harmony of cade wood and styrax. You wish that this moment could last forever. The mentions of impresario Sergei Diaghilev and dancer Vaslav Nijinsky caught my eye, as did the list of notes. Cuir de Russie is a "floral leather" fragrance featuring ylang ylang, violet, patchouli, cinnamon, cade wood and styrax. Like Nijinsky, it's sensual and androgynous; however, it's less flamboyant than the legendary performer. It's a smooth and skin-friendly blend of the violet and the ylang ylang, a soft leather accord, and some very subtle spice. The floral notes show up first but never fully dissipate, and the violet flower is complemented by some green, sharp-ish violet leaf. There's an almost airy "pause" in the composition's heart, as though Cuir de Russie were taking a breath before introducing its deeper notes. The leather in the base is supple and faintly smoky. My single complaint about Cuir de Russie: I wish it had better staying power, because I want it to last more than a few hours. That issue aside, however, this fragrance has the qualities that first made me fall in love with niche perfumery all those years ago: evocative storytelling, an unusual but wearable composition, quality ingredients, and the allure of something slightly hard-to-find. In fact, Le Jardin Retrouvé is currently only available through its brand website; do give it a visit if you're curious. 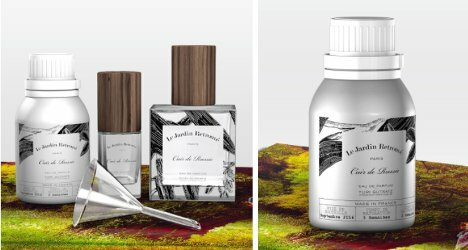 Le Jardin Retrouvé Cuir de Russie is available as a set called "Le Nécessaire," which includes 125 ml of Eau de Parfum in an aluminum bottle as well as two empty glass bottles (50 ml and 15 ml capacity) to be filled with the fragrance; the cost of the set is €14o. A refill bottle of the Eau de Parfum (also 125 ml) can be purchased separately for €115. Note: top image via Le Jardin Retrouvé at Facebook. 1. The only thing "off" here is the date: 1920 is long after Ninjinsky's heyday with the Ballets Russes. In fact, he retired from the stage in 1919. A date of 1910 or 1912 would have made more sense. This perfume sounds wonderful, I love both cuir de Lancôme and chanel’s Cuir de Russie, but unfortunately the later has no projection or lasting power on my skin. I have not had an opportunity to sample Jolie Madame, alas, the vintage sounds incredible, and I’m not sure whether the modern stuff is worth blind buying. I am reading a wonderful book that I think would interest u, it’s called ‘In Montmartre’ by Sue Roe, I am reading about the first ever performance of the Ballet Russes (1909) in Paris, when Najinsky was twenty, and just completing his training. The merging of dance and modern art at this time is incredibly fascinating (part Iv, chap 1). That does sound like something I’d enjoy reading! Thank you for the recommendation!! oh, nice! Thanks for spotlighting Le Jardin Retrouvé. I like their style. Those bottles have a niche appeal and look perfect for sharing. A leather note often puts me off, but this floral Cuir de Russie has me quite curious. Hope this line will find ways to expand their reach (so I can find a tester bottle!) while staying true to their heritage. I’m leery of leather notes, too — anything too strong in that department just isn’t “me.” But this leather is soft enough, especially mixed with the lingering ylang ylang and spices! I’m wearing Chanel’s Cuir de Russie today, but I like, own and wear Le Jardin Retrouvé’s version as well. I hope they’ll get a wider distribution and make their 15 ml flacons available separately, not just as a part of the bigger set. I, for one, would buy at least one more of their perfumes. I hope so, too — and a smaller bottle would tempt me more! I first learned about this line from the S ented Hound but did not act on it until I Undina’s post. Samples are available at reasoble prices. I got 2 full sets and each set arrive in separate package and included anpouch made with the founder’s mother’s or grandmother’s fabric collection. I haven’t tried any of them as her but will do so starting with Cuir de Russie. Thanks for your review! Yes! My sample set also arrived in a little fabric pouch. I got a blue and green floral. Such a thoughtful touch!! Now *that* is how you write ad copy for a fragrance! It made me wanna try this stuff, and I don’t even like leather. It is really good copy! But it’s a pity they didn’t just check dates real quick; Nijinsky was no longer dancing in 1920, I think his last public performance was years before that. Oh hang on, I see there’s a footnote saying this already, my bad! No worries! The date sounded a little late to me, too, which is why I checked. Oops.